At last Wednesday's meeting we had 15 Members and no guests today. John Haley recited the 4 way test. Michael Alty provided us with some very powerful and very interesting stats for the Rotary Foundation. Last year the foundation received 123M in donations. The Polio Plus fund raised 23M, which grew to 98M once matched by the Gates Foundation. 1) Olive oil and balsamic vinegar tasting coming up on May 11th. Sounds like a great event! 2) Hoop a Thon- Gary Chomyn has organized a Hoopathon kickoff meeting for April 20th. Please make sure you attend our meeting next Wednesday. 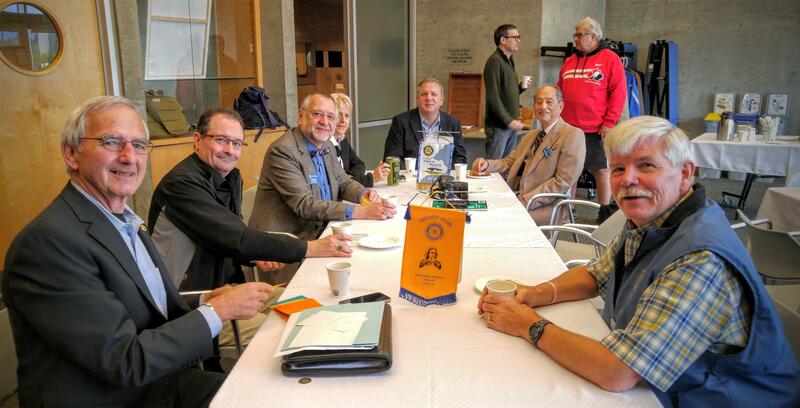 3) Another upcoming social event will be a breakfast at the Strathcona Community Centre. More information will be provided at a later date. 4) Our changeover this year will be hosted by John Haley, the tentative date is June 12. Guest Speaker - Today we had a business meeting to discuss internal club affairs.